My name is Fran Vincent and I offer premium one-on-one customized triathlon coaching to athletes of all ages and ability levels. Athletes will receive individualized training programs that compliment their personal lifestyle and training goals. 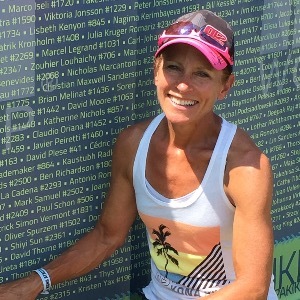 Fran brings over 30 years of experience in physical education, health education, and fitness training, along with lessons learned from her own successful triathlon career to her triathlon coaching business. Fran's coaching philosophy emphasizes the importance of being a well-rounded athlete and is rooted in her genuine love for all things health related. She strongly believes that with a smart training plan, a well-balanced diet, a strong mentality, and true commitment, every athlete is capable of achieving his/her goals. Her approach to coaching takes life into account and Fran recognizes that time management, goal-setting, and family/training balance are all part of the equation for finding success. Athletes are required to submit workouts daily through Training Peaks and utilize a heart rate monitor with their training. Success. Coach Fran Vincent has been notified of your message.